This group is made up of women under the age of 50 who are balancing family, faith and friendships. The group will meet once a month for food and fellowship as we study the Bible. We will meet monthly on one Friday of each month at 7:00pm. Contact the church office if you would like to come, 502-267-5082 or christlu@bellsouth.net. This group is made up of the men of Christ Lutheran Church. They meet once a month on a Saturday morning for Bible study, food and fellowship. Contact the church office if you would like to come, 502-267-5082 or christlu@bellsouth.net. 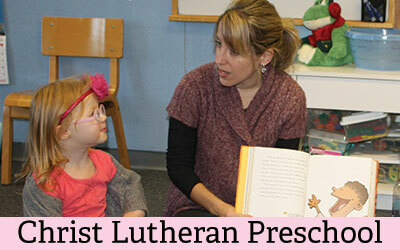 Did you know that every woman who is a member of Christ Lutheran Church is automatically a member of WELCA? If you would like to know who we are and what we do, you are invited to come to our gatherings at 12:00 noon on the second Tuesday of each month. Come and see what we are doing in our church, the community and globally. Please join us for food, fellowship and Bible Study. If you have an questions contact the Church Office for more information, 502-267-5082 or christlu@bellsouth.net. This group meets every Tuesday morning at 9:30 a.m. in Room 9. They enjoy each other’s company while knitting, sewing, or crocheting. Everyone is welcome to join. It is not necessary for you know how to knit or sew, you can simply come and join in the friendly conversation and make new friends! This group meets every Wednesday morning when the temp is above 52 degrees. We tend to the church grounds by weeding, pruning, and planting all of our landscaping as well as keeping the property free of trash. If you enjoy working outdoors and getting your hands in the dirt, this is the group for you. Contact the church office at 502-267-5082 if you would like more information.